Defending Sotto, Enrile admitted that he’s not Internet literate but suggested to make way for a bill that will set parameters on blogging. 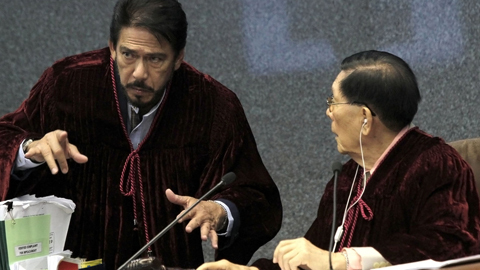 This looks like a good move for Senate Majority Floor Leader Tito Sotto. However, this does not make any clear reconcillation with the blogger whom he reportedly plagiarized some parts of his speech against the Reproductive Health (RH) Bill. The attempt to create a bill for bloggers may even be complicated knowing that the two senators obviously do not know how to value this growing sector in the society. Personally, I believe, Sotto can just simply apologize for the plagiarized speech. That will go a long way. But with the way he managed this issue, I don’t think he’s going to bow his head to the blogger whom he initially belittle.